The German PEV passenger car market ended the year dropping 10% in December, to 5,711 registrations, with BEVs continuing to expand (+12% YoY), while PHEVs aren't finding a way out of the hole (-35% in December), with full electrics now frankly outselling plugin hybrids (67% share for BEVs) in December, and well above the 2018 average (53%). Because the mainstream market is also down (-8%), the PEV Share climbed to 2.4% in December, with BEVs alone hitting 1.6%, while the final PEV share for 2018 ended at 2%, a new record. Looking at December Best Sellers, you can see the good moment of BMW, with the German brand placing 2 models in the Top 5, while the Renault Zoe remained at a near-record level, with 944 registrations, winning another Monthly Best Seller title. The German PEV market is known for close races and its changes and surprises, with the 2018 edition being no exception, first of all, the last year winner, the Audi A3 e-Tron, ended 2018 in...#14. Well, that was a fall, wasn't it? So, we have a new winner, with the Renault Zoe finally winning the Models title, after two consecutive years as Second Best. The VW e-Golf won the runner-up place, with 5,743 registrations (+90% regarding 2017) repeating this year the highest standing for a Volkswagen, hit in 2015 with the VW Golf GTE. The last place of the podium had an interesting race, with two BMW's (i3 and 225xe AT), running for it, with the hot hatch (5,095 units, +18%) finally overcoming its MPV cousin. Below the top positions, there were some interesting changes, the Mitsubishi Outlander PHEV went up two spots, ending in #9, while the BMW 530e also climbed two positions, to #12, winning the trophy of Best Selling Luxury Plugin. Finally, the Hyundai Ioniq Electric rose to #13, while the Mini Countryman PHEV was up to #17, underlining the good moment that the BMW Group is experiencing. Outside the Top 20, besides the aforementioned Audi e-Tron ramp up, we should also mention the 104 units of the Hyundai Kona EV, with the Korean slowly increasing the pace of deliveries. 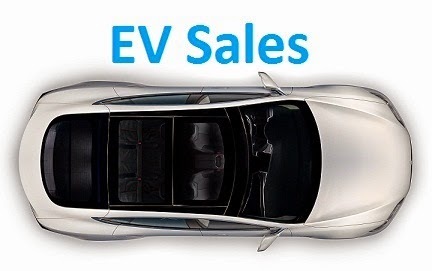 Looking sub-categories Best Sellers, the BMW 225xe A. Tourer was the Best Selling PHEV and MPV, while the Outlander PHEV was the highest placed SUV, and the StreetScooter Work (4,214 units, up 8%) continues to rule the electric LCV sector. In the brands ranking, BMW (19%, +1%) won its 4th manufacturers title, ahead of Volkswagen (16%), while the #3 Smart (10%) won the last place of the podium, resisting the advances of Renault (9%). The German PEV market is one of the most unpredictable out there, so it's not easy to say what's going to happens this year, but i believe the market should jump North of 3% share, thanks to improved models, like the new BMW i3, that might reach some 6,000 units, or the Renault Zoe (9,000 units? ), but mainly due to new additions, like the Audi e-Tron, that should reach some 6,000 deliveries, while the Tesla Model 3 could have some 9,000 deliveries in German lands, allowing it to run with the Zoe for the 2019 title. It was not very unlikely, but Renault Zoe did a little surprise in Germany (and not only) compared to the Nissan Leaf that dominates in several European countries. Surely in 2019 it will be quite different with the Tesla Model 3 coming to Europe but also the German electrics that will get into production, as of course the new Leaf with the largest battery. Tesla Model S really falling off a cliff. What is going on? German numbers are really disappointing. Are customers waiting for cheaper models! better, cheaper EVs are coming to Market. The Geman market will be an epic race to watch this year. Both SUV from Audi and Mercedes-Benz have great chances to push Tesla outside the main Top20 sales chart if it wasn`t for the new Model 3. Germany for sure is going to be one of the key first markets to get Model 3 volumes delivered (as well Switzerland, Austria, The Netherlands and Norway). I expect deliveries starting by end of February and sales reaching just north of 8000 units for the year (and at least a podium place). Will the German market outperform the Norwegian market for plug-in cars in 2019? Audi A3 e-Tron is discontinued- no wonder they are down. The Model 3 might make the top 5 spot but I will be surprised if it makes the top 3 spot. Current orders show less than 3000 for Germany. The MR model 3 might add another 1000 or so but that is only 4000. Even if you add 2000 for MR that is only 5000 and that is barely competing with the number 3 spot. I do not see 9000 Model 3s being sold in Germany in 2019 unless they introduce the SR model but I am sure they will be for US before they go to EU. The PHEV will rise in Germany extraordinary, because of low taxes for PHEV and BEV company cars.